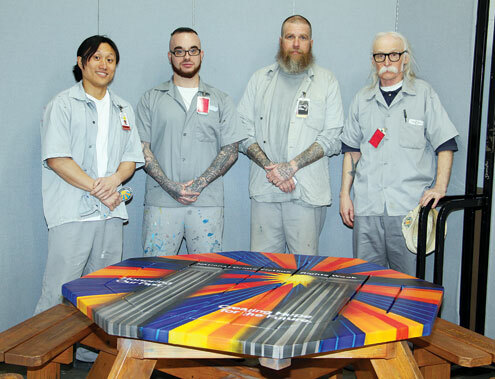 Offenders from Northeast Correctional Center in Bowling Green built and painted a picnic table to honor National Crime Victims’ Week celebrated April 7-13. The table was donated to the City of Louisiana. Pictured from left: Jacky Wong, Luke Scammell, Michael Krallman, and Michael Campbell. Find more photos from the event on page 6 of this week’s edition.